hey all! Happy Wednesday!! You all are ROCKIN’ these 11 Days Of Giveaways & seeing so much participation totally pumps me up. Incase you’ve missed the last TWO giveaways- check out the [$50 iHerb.com Shopping Spree] & [So Delicious Dairy Free Product Giveaway] by clicking those links! Any chance I get to retweet your entries – I do! So if you’re following me on Twitter, sorry not sorry for taking up your whole news feed. 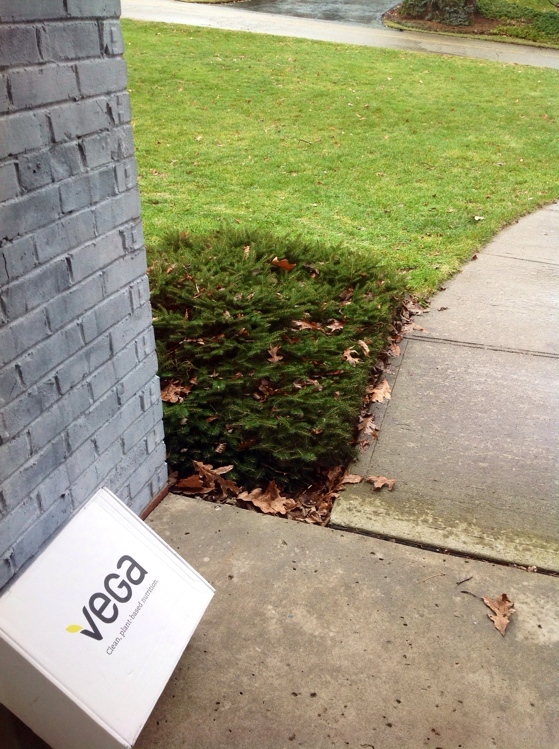 I don’t think it’s any surprise that I am a huge fan of VEGA products. Not only am I a fan of their ingredients, but I am a huge fan of their company! Everything I chat with them on the phone or e-mail it’s apparent that we both share the passion to help others & inspire. 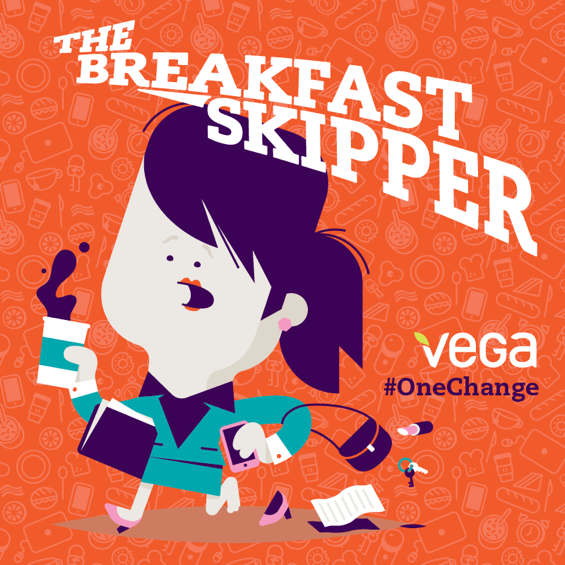 One of the ways that VEGA is helping others this year is by launching their new campaign #ONECHANGE for the New Year! It was similar to opening up a Pop Up Birthday Card! Maybe I should think about changing my middle name to Powercakes? I kinda like it. And the pop up message inside the water bottle? LOVE. I will be 100% honest – this USUALLY looks like me as I’m running out the door (minus the high heels since I’m usually rockin’ tennis shoes.) I guess you could also add like 2 gym bags & a bottle of water in the other hand. 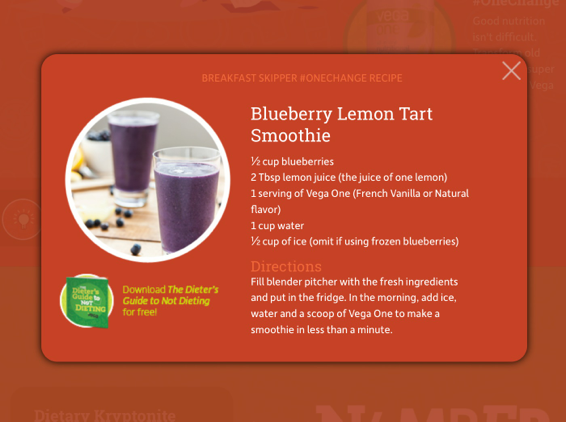 One of my biggest tips that I tell my clients is to make a smoothie (like this Blueberry Lemon Tar VEGA Smoothie) the night before & have it ready to go in the morning for when you’re sprinting walking out the door in the am! Personally, I am not a breakfast skipper since right when I wake up in the morning I am HUNGRYYY & making a meal is one of the first things I do. BUT I know plenty of people who WANT to eat breakfast but often end up skipping which leaves them starving by lunch. 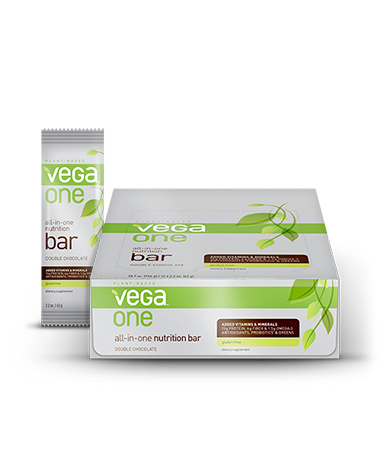 One of my other favorite products – the VEGA ONE bars! These are great on the go & have a permanent place in my book-bag. Because fact is that yes, I am 24 years old and travel with a book-bag everywhere. Ready for an awesome announcement? My friends at VEGA are offering SIX readers a chance to win either 1 tub of Vega One Shake OR 1 box of VEGA ONE Bars! That is 3 tubs of Nutritional One Shake & 3 Boxes of VEGA ONE Bars up for grabs! Hiyo! Leave a comment below letting us know which flavor or VEGA ONE Nutritional Shake and VEGA ONE Bar Flavors you would like to win! *Please let us know a flavor or each so if your name gets chosen we know which one you’d like to receive! You will have until Monday, January 27th to enter ALL of the 11 Giveaways! This giveaway is open to US & Canada Residents. 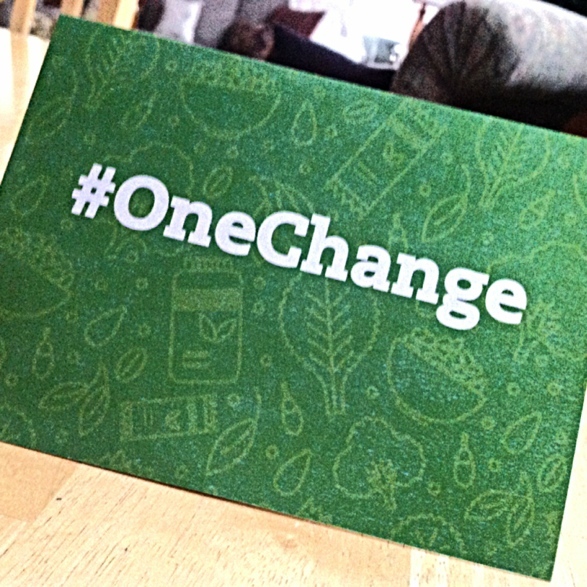 You can find VEGA on Twitter, Instagram, & Facebook to stay connected & show your #ONECHANGE for the New Year! I always talk with my clients about not jumping into 7104289 changes at a time towards their health & fitness goals – It’s so important to take on one goal at a time! Those small changes will totally add up in the end and it can be a much more enjoyable experience. Creamy Dijon Brussels & Muscle Rope Jacks! I have had the chocolate shake before, and I love it!! LOVE Vega!! Cherry chocolate bars look amazing, but I really love the vanilla shake! I am a shake & smoothie fannatic! I would get the chocolate shake flavor, hands down! I’m a sucker for anything chocolate! Vanilla shake, chocolate almond bars! i would love to try the vanilla shake, and chocolate almond bars! I would love to try the Berry shake and the chocolate almond bars. I really like your water bottle. I also posted on Instagram! Woohoo! So excited! I’d love the chocolate shake and chocolate cherry bars! I’d love to try the chocolate cherry bars or the vanilla chai shake! I would love to try the natural flavor shake and the chocolate almond bar! Never tried VEGA before, would love to try Vanilla chai powder & cherry chocolate bars! I would love to try the chocolate vega shake and double chocolate bars! Hehe I am a chocolate fanatic!!! Would love to try the Vanilla Chai powder & Double Chocolate bars! I’ve never even heard of Vega until today! I would like to try the Vanilla powder and double chocolate bars! Sounds delish! I like to keep plain. I would like to try the chocolate shake and chocolate almond bars. Woot woot these sound fantastic! Ohhh those flavors sound amazing! The vanilla chai shake would be such a treat heck same with the chocolate almond bars!! I would love to try the Vanilla Chai flavor! I am lactose intolerant and have celiac disease so finding a nutritional shake I can actually drink and that tastes good is always a struggle! I would love to try the chocolate powder and the chocolate almond bars!! Thank you!!! I love the vanilla shake and would love a tub to restock my supply! I would LOVE to win the vanilla chai shake and chocolate almond bars! 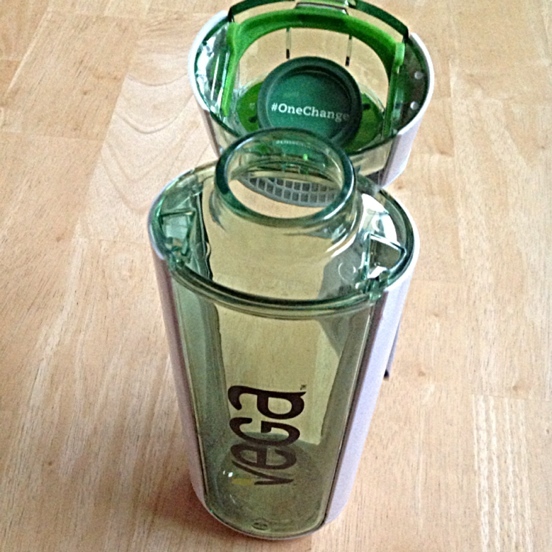 Love love love vega products! I’ve never tried Vega products- but I’d love to! The Vanilla shake sounds delicious, as do the chocolate cherry bars! Would love to try the French Vanilla, that flavor is a hard find around me. I’m allllll about vanilla shakes, so I would LOVE to try the french vanilla or vanilla chai nutritional shake! The vanilla and double chocolate flavors sound great!! I’d love to try the chocolate…I’ve had the vanilla and chai before and both were awesome! You are a winner, Anna! Please e-mail me your address & phone number for tracking to Kasey@powercakes.net ! Thank you! I would love to try the chocolate flavored shake! I would wanna try the Chocolate shake and the Chocolate Cherry bars! Sounds delicious! I would loveeee to try the French Vanilla shake! I need something quick and easy to drink on these night shifts in the ER! Vanilla shake, which I’ve had. Yummy! And chocolate almond bars. Chocolate vega shake all the way!!!! Love making protein shakes after the gym so the Natural flavored Vega powder would be great for mixing with berries, peanut/almond butter, spinach, and all those other goodies! Like to try the chocolate cherry bars too. I’d love to win Vanilla Shake and Double Chocolate bars!!! The Vanilla shake and the Double chocolate bars sounds so good! The French vanilla shake and double chocolate bars sound like a great addition to any day! Chocolate and double choclate bars. You are a winner, Joanne! 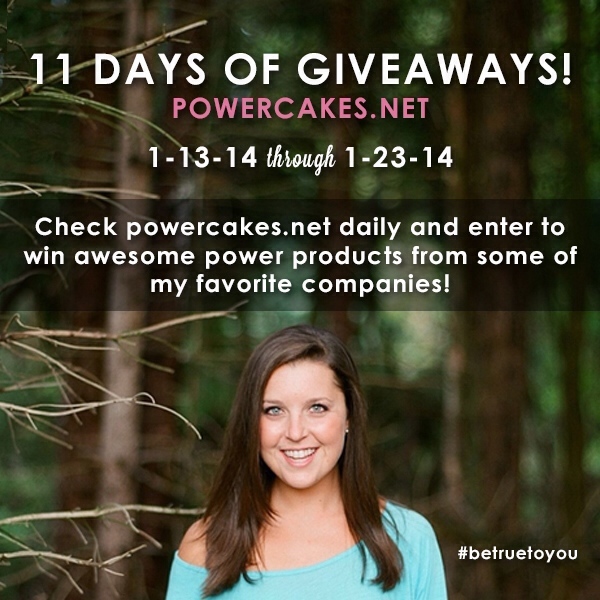 Please e-mail me your address & phone number for tracking to Kasey@powercakes.net ! Thank you! Vega is the only protein I buy. I would love to win a new tub. I am a huge fan of Vanilla Chai! I tweeted, thanks for the chance to win! I would love to win a tub of the Vega One Berry flavor! I use it EVERY day so a free tub would be fabulous! I would love to try the Vanilla Chai Powder and the Chocolate Cherry Bars! I tweeted about he giveaway! I would love the vanilla chai powder and the double chocolate bars!!!! Vanilla chia is my favorite! I would love to try that flavor in the protein shake! Also, the chocolate almond bars. Sounds yummy! Can’t wait to try all the flavors! I’d love the vanilla shake and double chocolate bars… Like a swirl of heaven-YUM! I’d love to try the chocolate shake flavor & double chocolate bars! Would love to try the vanilla chai and the chocolate cherry! Oh My Goodness!!! The Vanilla Chai shake sounds amazing and I would love to give it a try as far as the bars go the Chocolate Almond sound delicious and would be great for my mid afternoon snack!!! I’d like to try the vanilla or unflavoured protein powder. As for the bars…Chocolate Cherry sounds delicious. 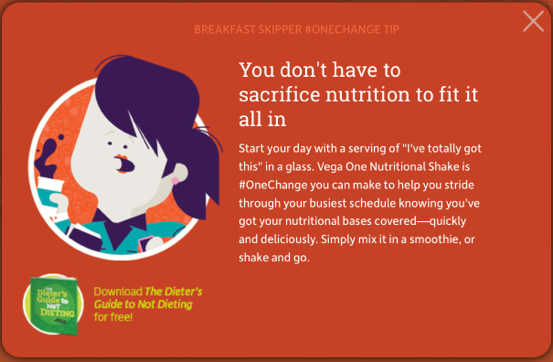 Vega One shakes have drastically changed breakfast for me! I add the vanilla to all green veggies and pop in a nutri-bullet. YUM! BEST breakfast EVER. I would love the vanilla protein powder and the chocolate almond bars! Reposted your IG image! Such a wonderful giveaway Kase! Chocolate – both the shake and the bar! Chocolate shake and double chocolate bars!!! Choco-holic!! Chocolate cherry bars for sure!! It’s a toss up for shake but lets stick with good ol trusty…CHOCOLATE! I would really like to try the vanilla shake! I have heard good things about Vega, but haven’t tried it yet! Would love to try the vanilla protein powder and chocolate almond bar! I would choose chocolate cherry! Vanilla shake and choc almond bars please! I’d choose the Chocolate Almond bars! Vanilla shake & chocolate cherry bars! The vanilla chai sounds delish, and chocolate cherry bars, what a great idea! I would love to win the Vanilla shake and the Double Chocolate bar! I’ve always wanted to buy Vega but it’s too expensive for my budget right now! I would love to try the chocolate protein or chocolate almond bars! I would love to try the vanilla protein and the chocolate almond bars.. heard great things! I heart vega!! loves me some vanilla powder and chocolate almond bars please! The vanilla chai shake and double chocolate protein bar sound amazing! 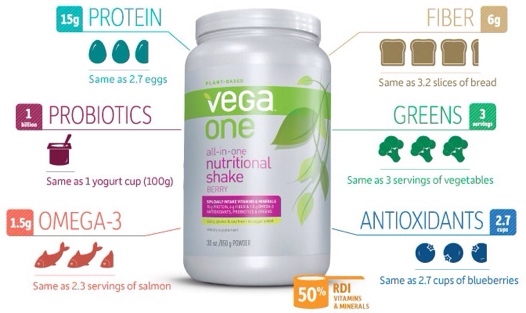 i have tried so many proteins, but never Vega and I have heard AMAZING things about their products. I think the vanilla chai would be great to add to oatmeal and yogurt and the chocolate almond bars sound amazing. two of my favorite things! I was hoping Vega would be one of the giveaways!! 😉 I would love to try the chocolate shake and double chocolate bars. These seem like the perfect afternoon snack…I’m in need of mixing it up from my usual apple and almonds. I love the idea of the #onechange campaign — I’ll keep making one change at a time towards a healthier lifestyle and towards owning/accepting who I am. I have tried the Vanilla Vega One before and loved it, but I’ve always wanted to try the Vanilla Chai! I would love to try the chocolate shake and the double chocolate bars! Chocolate almond bar and vanilla chai! The vanilla chai would be awesome! Woot! I would love the vanilla powder and the chocolate cherry bar!! Would love to try the vega chocolates shake and chocolate almond bars! I would love the shake in vanilla and the chocolate almond bars ! Berry Shake or Vanilla Almond Bars! Yum! Hard to choose, but I think the vanilla chai and chocolate almond! Since I already love the shakes, I would love to win the chocolate almond bars… I have never tried them and would love a new go-to food! chocolate cherry bars and the vanilla chai shake sound deeeeelish! Thank you kasey and thank you vega! I would love to try the berry shake and chocolate cherry bars! I am always down for anything chocolate, but the vanilla chi shakes seems like it would be yummy as well! I’d love to try the berry shake, it is the only flavor I haven’t tried yet! Chocolate cherry bars so delicious!! I would like to try the chocolate shake!! Hmmmm… let’s see. Vanilla Chai shake and Chocolate Almond bar. Yum. I would love to try the Vanilla Chai shake and the double chocolate bars! Yum! I love the natural flavor shake because then I can mix it with anything! Thanks! chocolate shake and chocolate cherry bars!! I’m such a huge fan of Vega and LOVE the French Vanilla and Vanilla Chai flavors ! Would love to win a tub! They make the most AWESOME smoothies. I also like the berry flavor bars the most:) Thanks for this giveaway! Here’s my Tweet! !—>https://twitter.com/TheSoulfulSpoon/status/423849517503365120 Thanks Kasey! Love the French Vanilla shake, and would love to try the Chocolate Cherry bars. Would like to try berry shake and double chocolate bar!!! I have always wanted to try the chocolate Vega One Shake!! I have heard such great things about all of its benefits! I also would not mind trying the chocolate almond bars. I’d love to try the French Vanilla Vega One shake + chocolate almond vega one bars! im so intrigued by vanila chai & the chocolate cherry bars – gotta try new things! Vanilla chai and chocolate cherry! Sounds so good. Chocolate almond bars look delicious but I love the vanilla shake….it goes perfect with everything! I always see your posts on VEGA ONE. How did I miss Vanilla Chai?!! Sounds incredible as well as those Chocolate almond bars!! 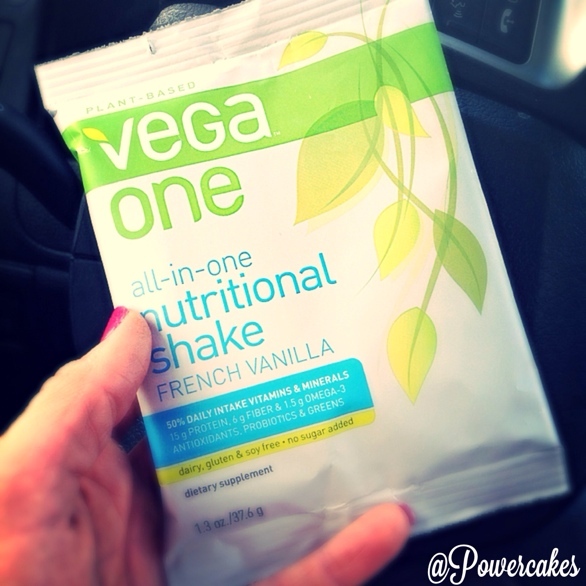 Can you believe after a year of flowing your blog I still haven’t tried Vega protein!?!? Craziness. I would live to try the all natural protein!! Vanilla Chai shake and chocolate cherry bars sound really good. I’m always looking for something good and on the go to get me through long days at work! Would love to try the vanilla shake and double chocolate bar! Good morning! I would love to try the Vanilla chai and chocolate almond bars! I would love to try the chocolate shake and the chocolate almond bars! They would be the perfect pick me ups!! I want to try the chocolate cherry bar and the chai smoothie!!! Chocolate nutritional shake & chocolate almond bars! 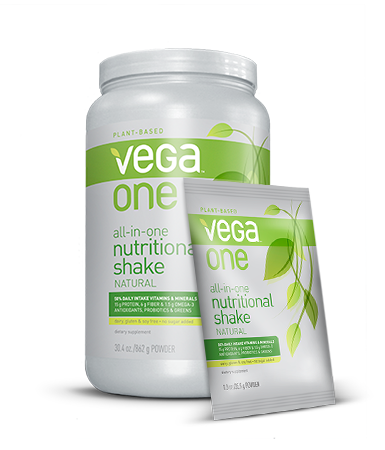 I have never tried Vega products before, but I’d love to try the Chocolate Shake and the Chocolate Almond Bar! 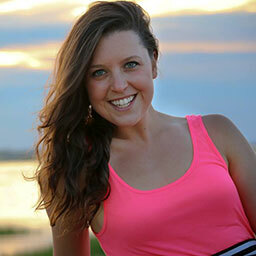 I love your blog – I’m going to Like and Follow you elsewhere too! Thanks for hosting the giveaways! Vanilla shake, hands down. Chocolate almond bars! Been trying to decide between vegan protein powders. Thanks for the giveaway! Chocolate Vega One & Chocolate cherry bars are my pick! Thanks for the give away! Would love to try the Natural Flavor powder & double chocolate bars! I love the vanilla chai and the natural is a good second. I eat a shake daily with avocados. The bars are good too but I haven’t had them all; Only the chocolate cherry and double chocolate which are equally good. I would love to try the natural protein powder flavor. I’m not a huge fan of distinct tastes when it comes to protein powder so I think I would love this flavor in my smoothies! I’ve never tried the bars either but the chocolate almond bars sound amazing! Vega One berry and French vanilla are my favorite flavors (althought all of them are delicious!). Although I’ve not tried them, the Chocolate Almond bars sounds yummy! Vanilla Shake or Chocolate Almond. Yum! I would love to try the Chocolate Cherry bars! And I think the versatility of the Natural flavor shake mix would be fun to try. This company sounds awesome!! I love making smoothies for post-workout snacks or a quick breakfast when I’m rushed so I would LOVE to try out one of the shake mixes! Chocolate cherry bar and chocolate shake! Vega is such a great company! I’ve been wanting to try the Vega One shake for so long!! What a great offer! I’d love to try to French Vanilla flavor of the shake and the the double chocolate bar! I would love to try Vanilla Chai or Berry protein powder or the chocolate almond bars! I use protein powder every day post-workout and the bars would help me stay on track with my healthy eating on those long dental school days or study sessions at the library! The Berry powder and the chocolate cherry bars both sound soo good. I’ve always wanted to try Vega! vanilla b/c i like to mix fruit into my protein smoothies! I would love to win the vanilla nutritional shake or the chocolate nutritional bars! I love Vega products! I would love to try the vanilla chai protein and the chocolate cherry bar! Chocolate is my favorite! The only thing I have had is the protein but I am interested in trying more! I would love to try the Chocolate Almond bars or Chocolate shake! Like most women, I can be a choco-holic if I don’t practice restraint! I’m always looking for new quick meals and snacks to enjoy during my long school days…and then sharing them with others to swap out their typical morning muffin. Better brain fuel!! Gotta go for the chocolate on these ones! I’d love the chocolate shake and chocolate almond bars! My hubs and I love the Vanilla Chai flavor! I tweeted about the ONE CHANGE giveaway! Ooh the vanilla shake and the chocolate almond bars sound amazing!! Vanilla chair and double chocolate bar sound amazing!!! Currently looking for a healthy product such as Vega! I’d love to try any of them!!! I am dyinggggggg to try the Vega vanilla all in one protein shake!!!! It really seems like it’s the best protein shake out there on the market in terms of what it offers through it’s ingredients. Finally something that has nothing creepy on the label with ingredients that I can ACTUALLY READ! I would love to try the Chocolate Vega shake and chocolate almond Vega bars! Vanilla shake and chocolate almond bar! Natural shake & Chocolate almond bar (or maybe chocolate cherry!) Both sound soooo good! I’d like to try the Vanilla Chai shake and chocolate cherry bars! Vanilla Chai shake and Chocolate almond bars! The vanilla chai sound delicious! Vanilla Chai Shake and Chocolate Almond Bars! Yum! Oh man! 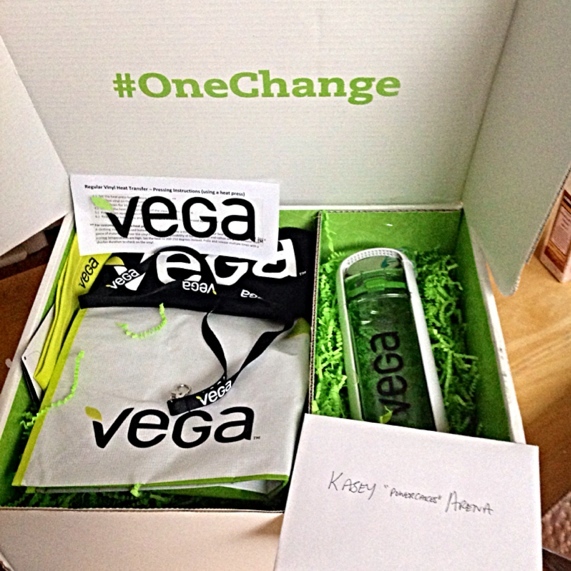 A giveaway right up my alley…Vanilla Chai VEGA One Shake and Chocolate Cherry VEGA One Bar…Please! I tweeted about this!! Doing everything I can to up my chances. French vanilla shake & double chocolate bars, please! Feel free to use these discounts on some of my favorite food products and more!